BlueLink: Simple to setup, robust wireless architectural model lighting system. Pin protected local admin controls, options to link to external databases/websites. 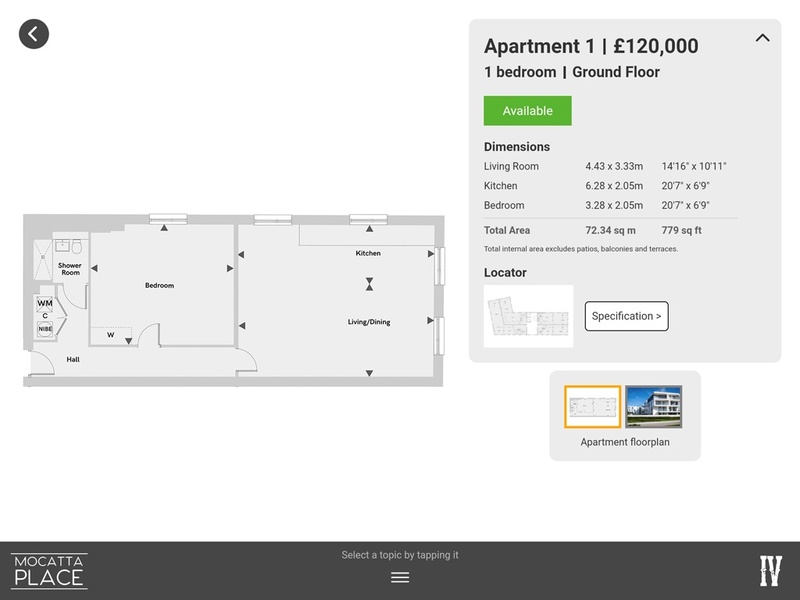 Search properties via site map and floor plates. Pinch & zoom controls. Dynamic model lighting. Quick Search: filtering of properties by type & availability. Linked dynamic model lighting. 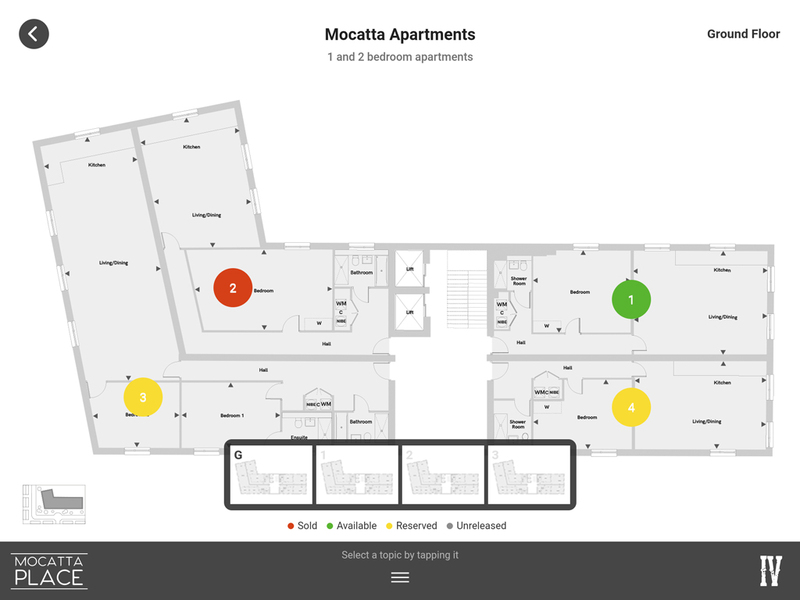 Pinch & Zoom floorplans. View; property imagery, specifications, price & availability. Scalable solutions. 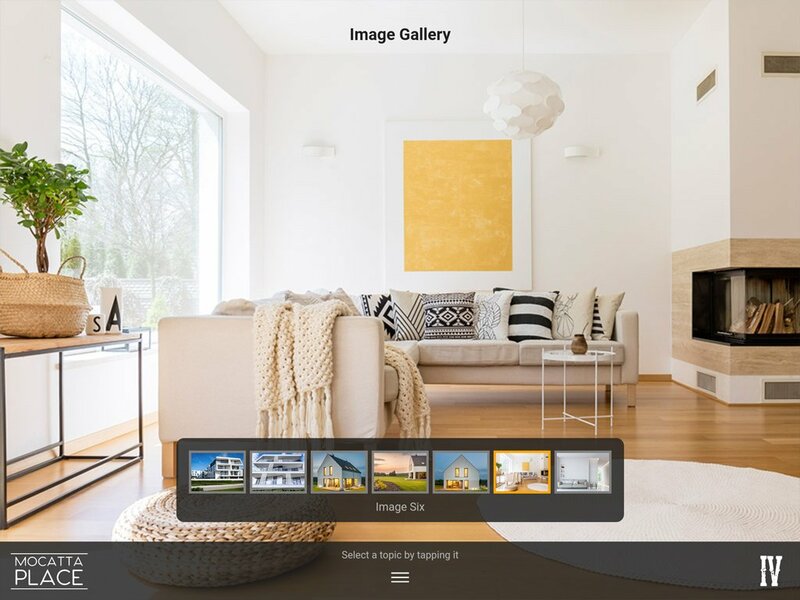 Add; Image/Video Galleries, local area maps, balcony views etc. every time, all the time? Well we agree. It’s the reason we developed IVI, our property interactive for House Builders, Architects and Model Makers, with simplicity & robustness at the forefront of our minds. 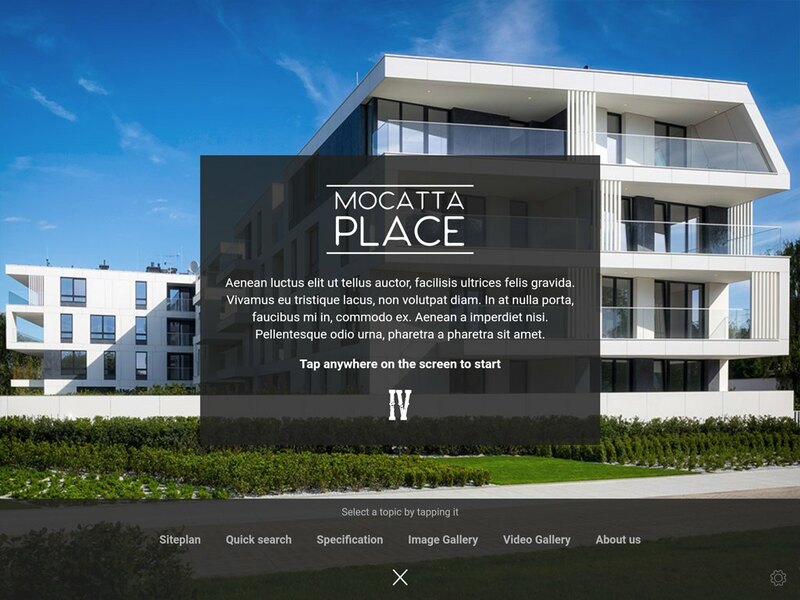 With the development of IVI we have created a property interactive, which has been carefully researched and developed based on our own extensive knowledge and experience within the property sector. IVI is designed to be a scalable property interactive system; affordable, yet flexible enough to meet the varied requirements of property developers, model makers & architects. IVI combined with our lighting controller Bluelink, provides a compact, robust, plug and play lighting system, addressing one of the industry’s biggest bugbears that of wireless interactive lighting systems not consistently working or being simple to set-up. To request a quote, demo or find out more about our property interactive solutions and the benefits of using the IVI system, contact us today. With our extensive practical experience of delivering interactive property solutions, IVI has been developed to address the needs of House Builders and Model Makers. 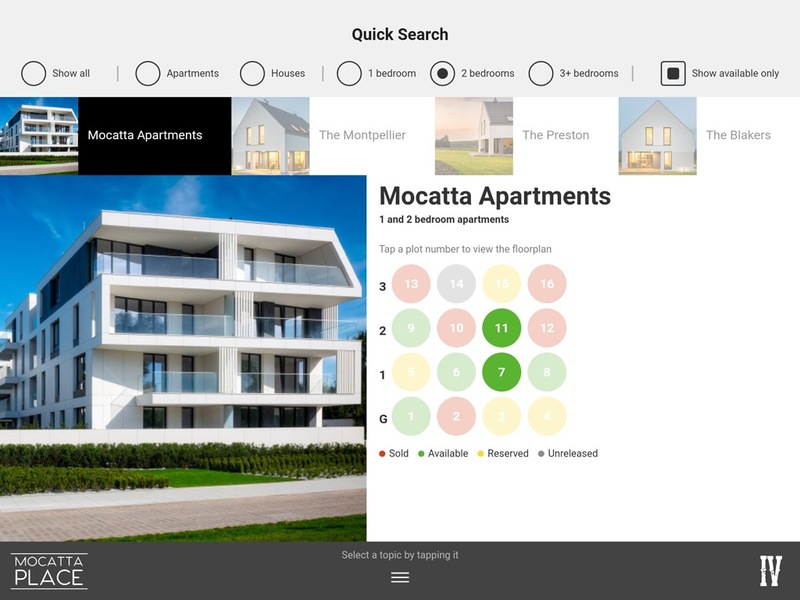 IVI is scalable, enabling the addition of features tailored to requirements such as interactive local area maps, balcony views or 3D floorplans. IVI and BlueLink provide a robust ‘Plug & Play’ wireless lighting solution for model interactives. IVI is built around a customisable framework enabling quick project turn around times. IVI’s customisable framework reduces development times and cost, with a variety of hardware options tailored to budget. 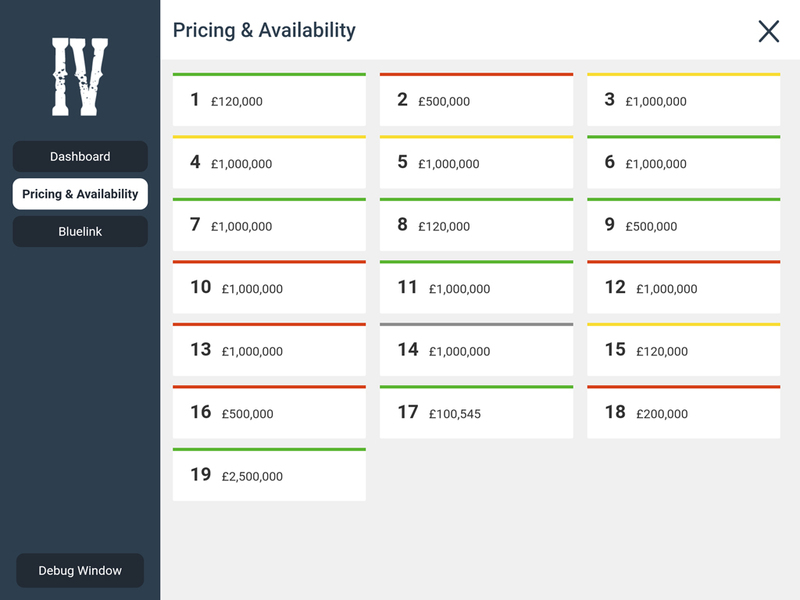 As well as local control, IVI can intergrate with your availability database or website to update pricing/availability in real time. IVI is compatiable with a variety of light-weight, affordable Android devices such as the Samsung Tab S series. Compatiable with iOS devices, IVI looks fantastic on larger displays such as the 12.9 inch iPad pro. Tom has wealth of previous experience delivering a variety of interactive property projects for UK House Builders working with; Quintain, Redrow, Gaillard Homes, Higgins Homes, Linden Homes and London & Quadrant. This has included marketing suite installations, technical & logistical exhibition support, both in the UK and overseas. Anna-Roisin has worked with some of the UK's biggest property developers on a variety of integrated interactive & web-based projects. Like Tom, she has experience of providing technical & logistical support for interactive solutions in the UK and Overseas. We developed BlueLink to act as a wireless bridge between our interactive tablet and the architectural models lighting unit. BlueLink is compatible with both Android and IOS (Apple) tablets. 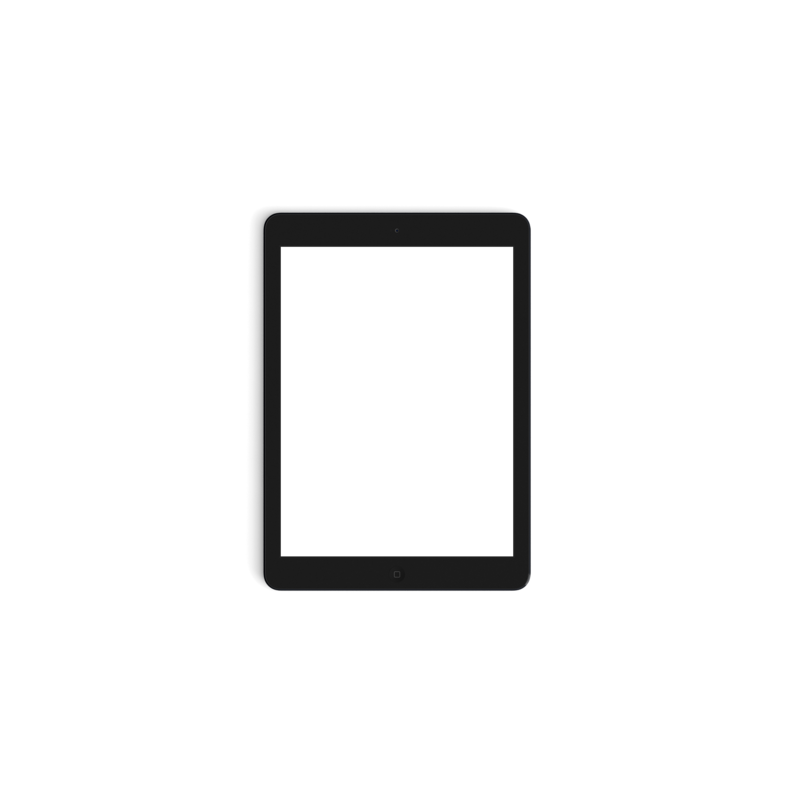 Unlike alternative wireless lighting solutions that use local Wifi (and as a result can be less robust, tricky to set-up and maintain), BlueLink is paired with the interactive tablet via Bluetooth. BlueLink searches for it’s paired device on startup as soon it receives power and continues to do this until it pairs. This plug and play system means that whenever a point of failure occurs, be it a power cut, the tablet is turned off or the model lights are unplugged etc. as soon as both the BlueLink and paired tablet are turned on they will search and pair with one another to control the lighting unit. A great solution for both semi-permanent marketing suite installations or overseas events. Small & light-weight, our BlueLink software is installed on a customised RaspberryPi in an aluminium case weighing just 155g (Height: 93mm Width: 65mm Depth: 27mm). Ideal for housing inside a model base. 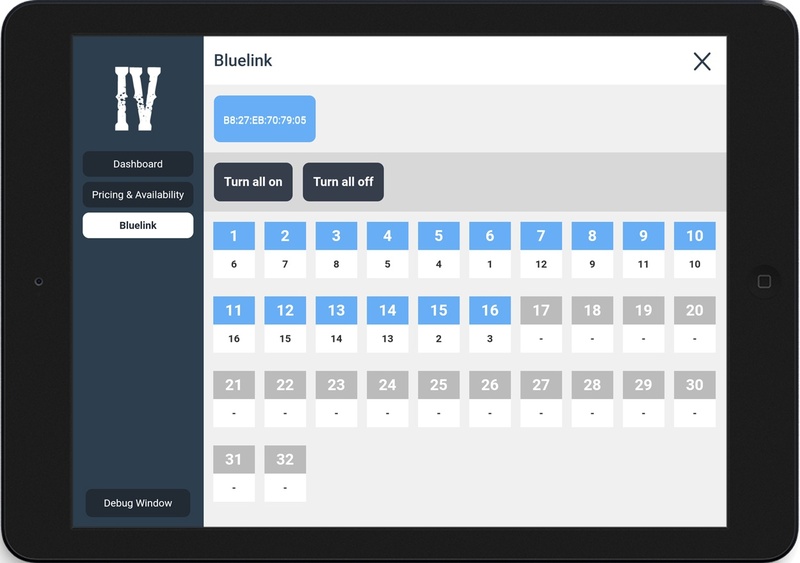 The BlueLink controls on IVI are accessible via the pin secured admin section. Here you can map and update your lighting configuration with ease by matching properties to lighting points on the board. 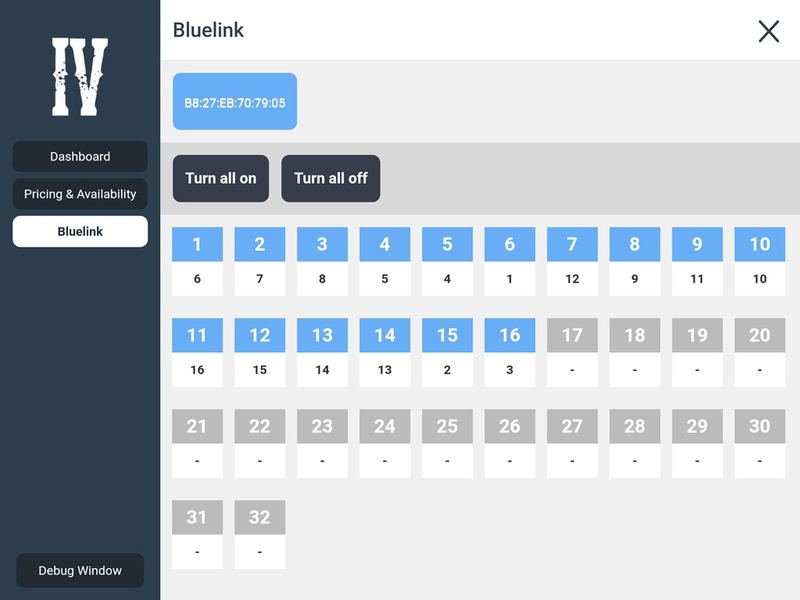 BlueLink is compatible with Forvm’s Lighting Units and can be readily configured to work with modular systems such as LightSwarm. Get in touch if you’d like to see IVI in action and tell us more about how you’d like to bring your properties to life.